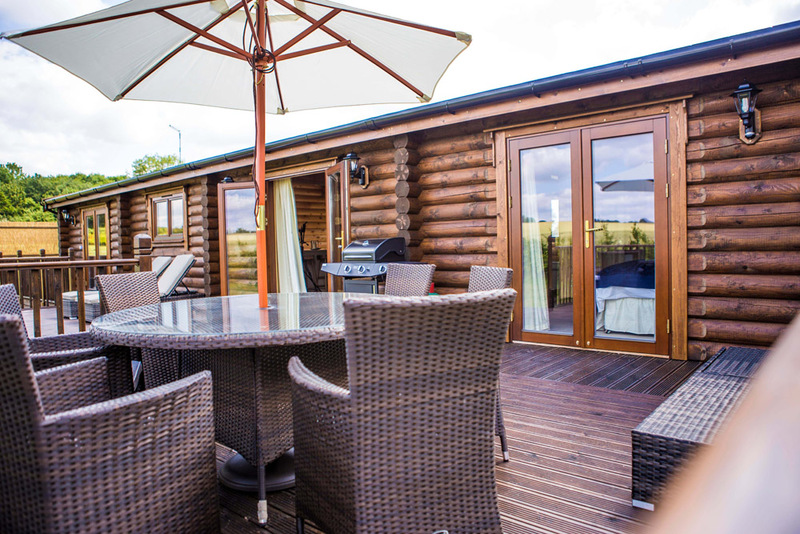 Emma, Becky, Karen, Amy, Mel and Sofi. 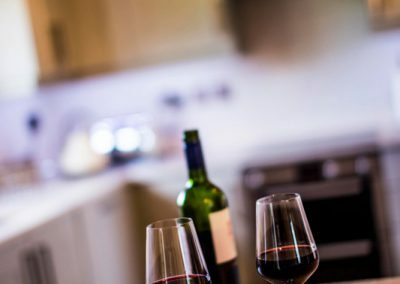 Mike, Anne, Rodge and Carol Middlemass. 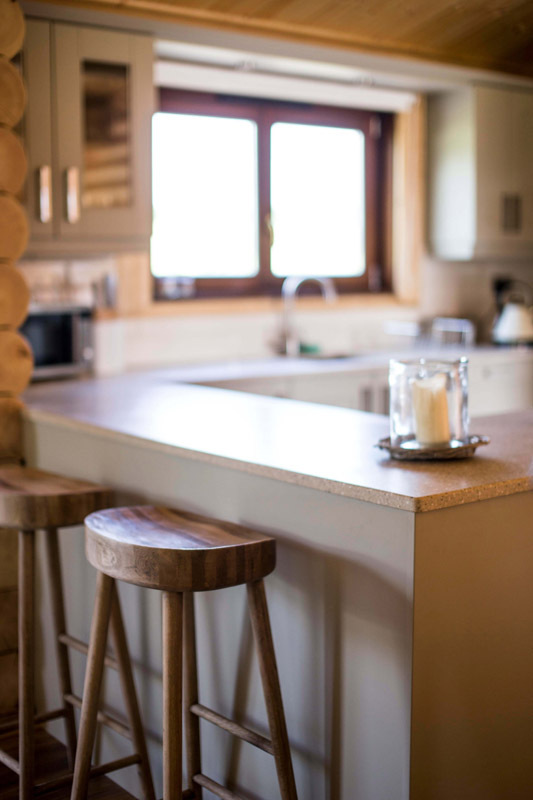 Sharon, Beth, Nikki, Alice and Hannah. 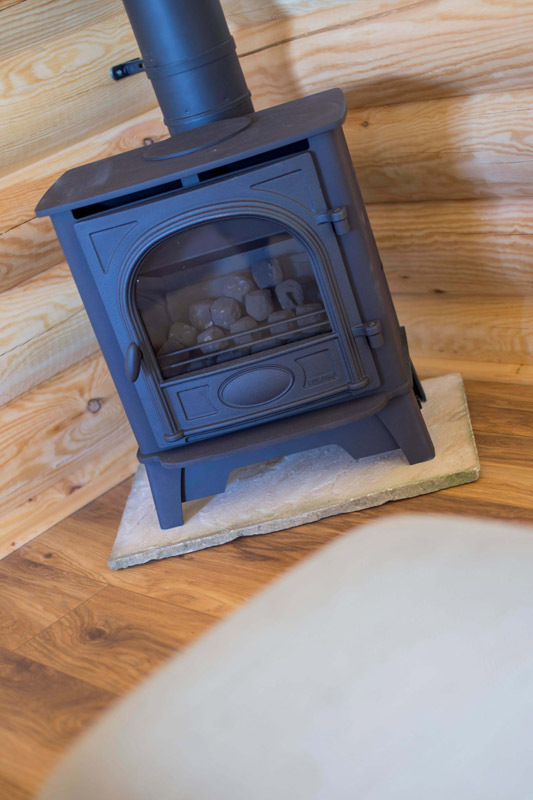 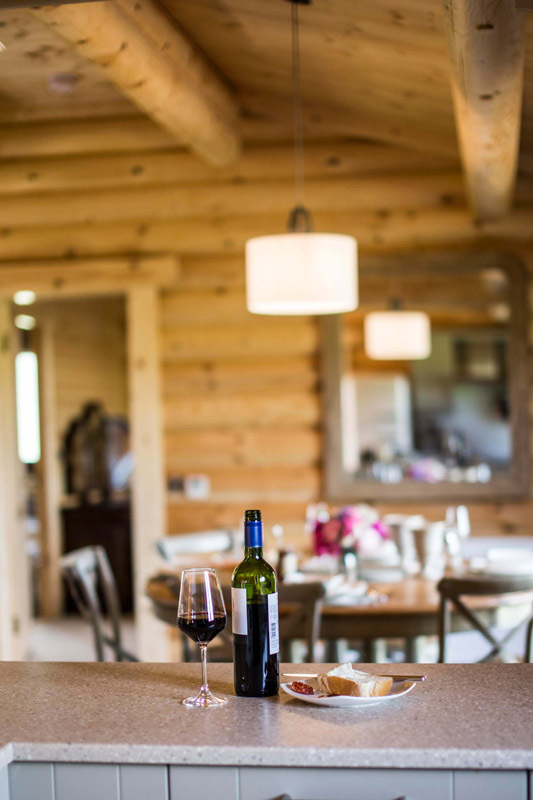 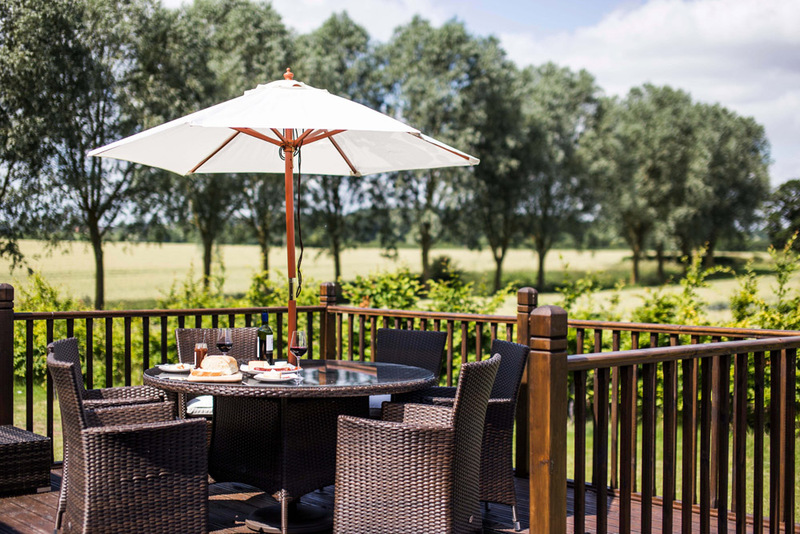 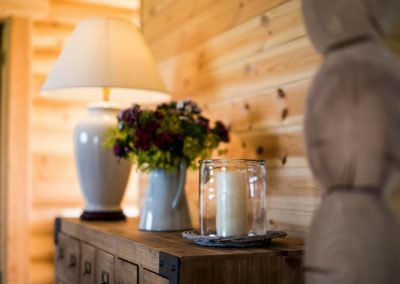 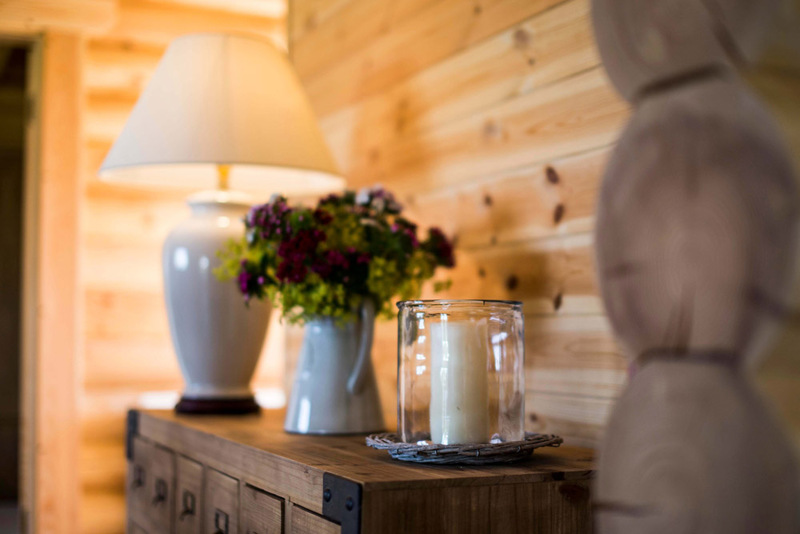 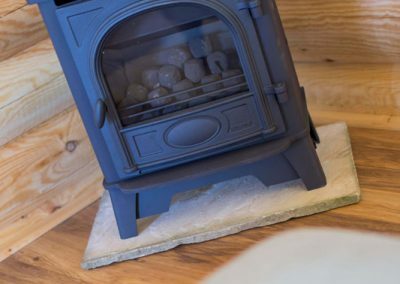 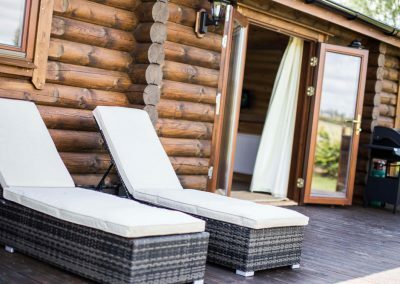 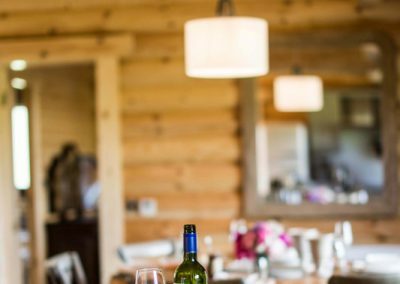 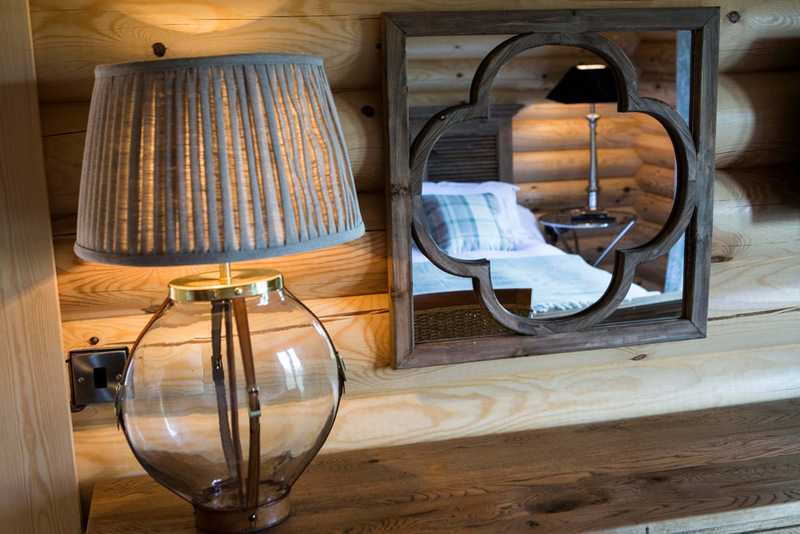 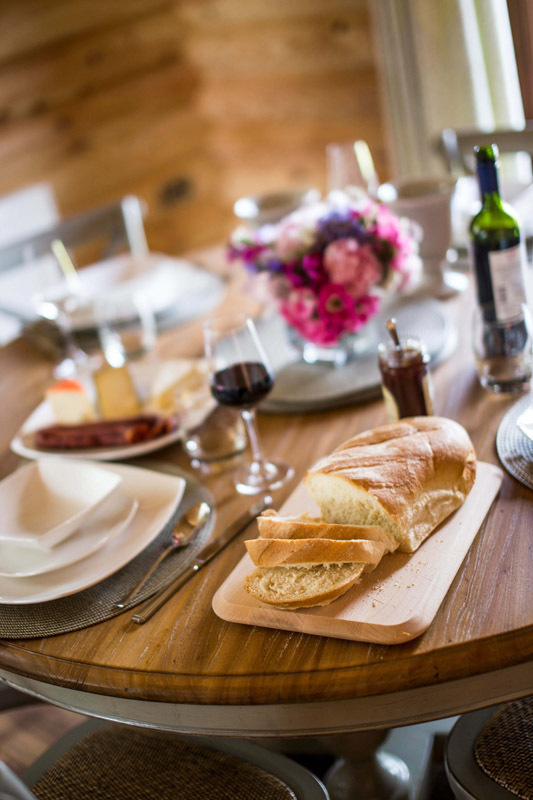 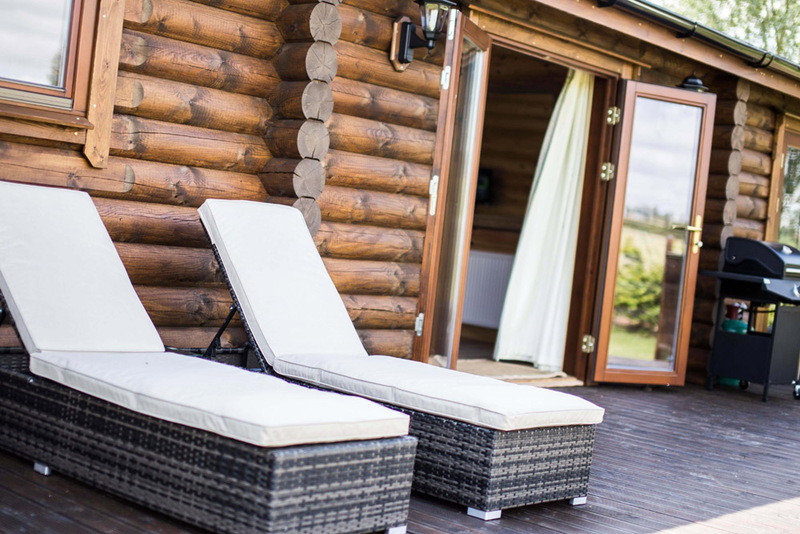 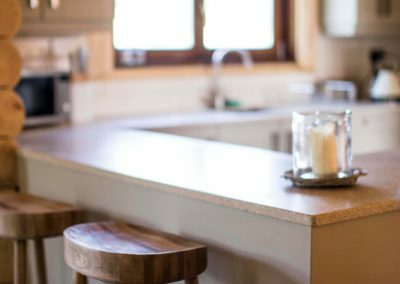 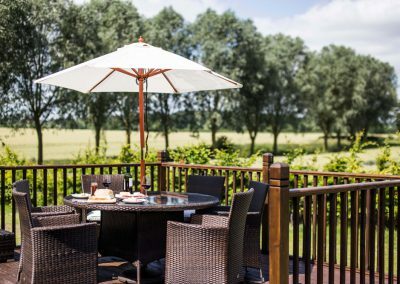 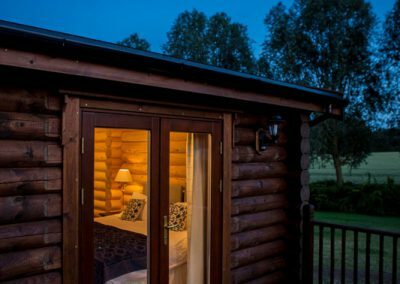 Otter’s Holt is a 5* exquisite 2-bedroom cabin providing a luxurious and stylish bolt-hole in the heart of Leicestershire. 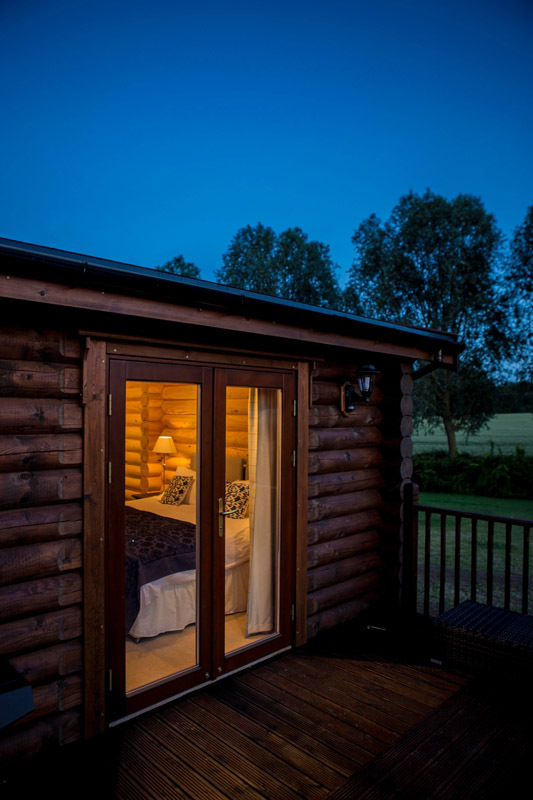 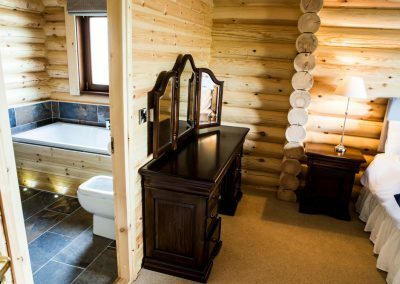 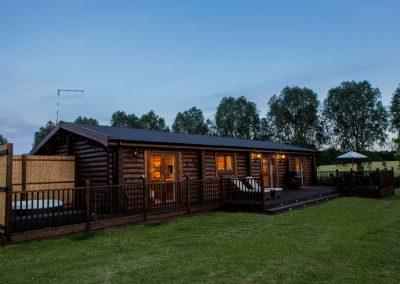 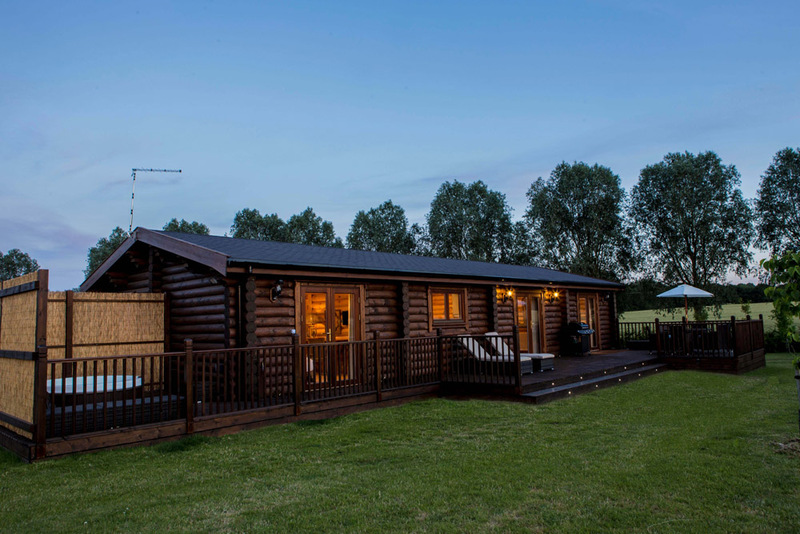 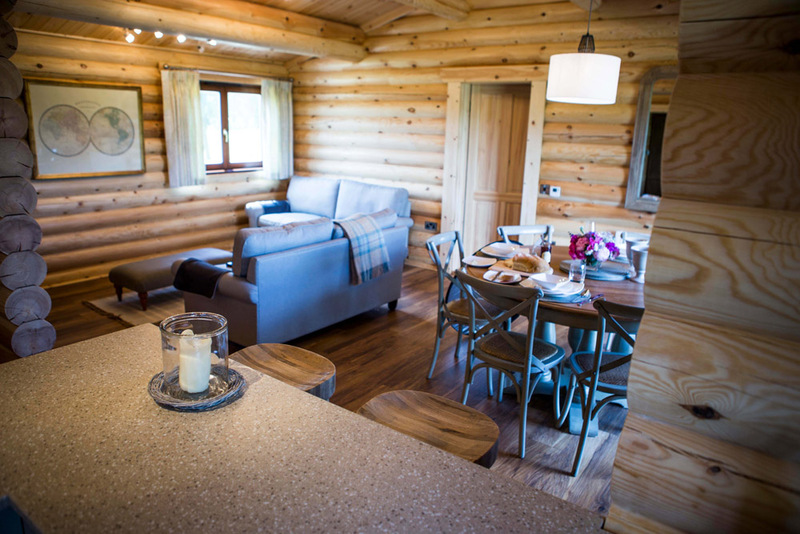 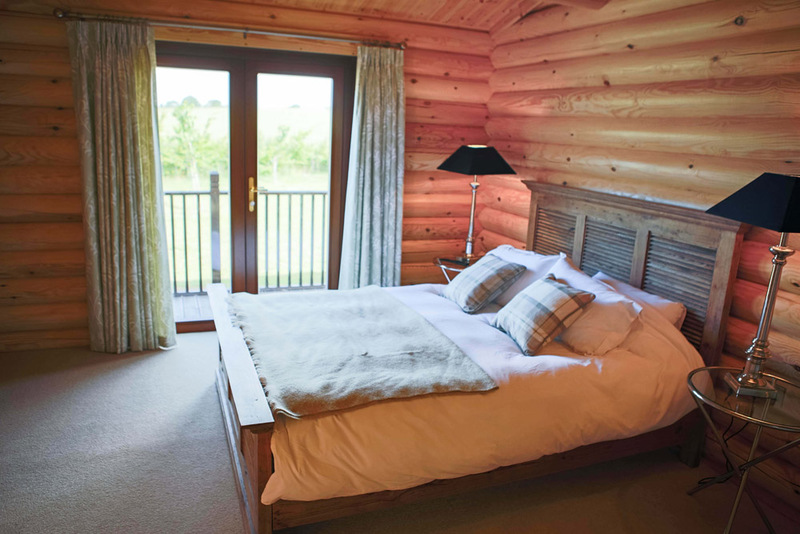 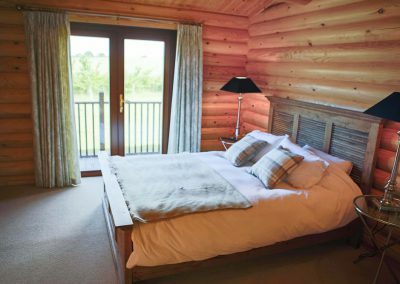 This extensive cabin is light and airy and takes in beautiful panoramic views of the surrounding countryside. 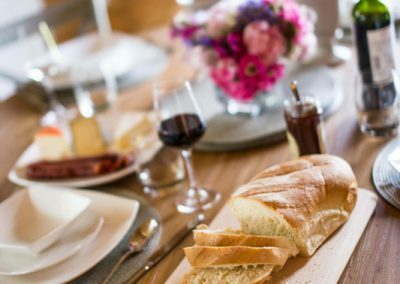 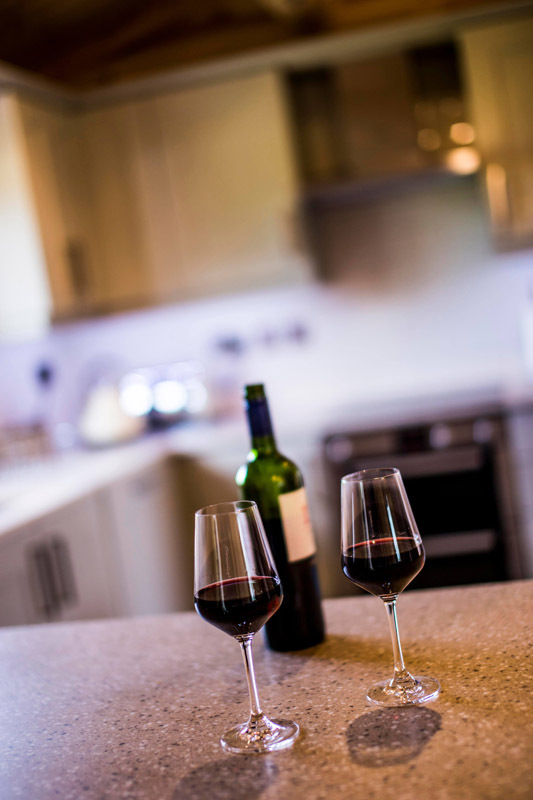 Why not whip up a feast for all to enjoy in the perfectly appointed kitchen with its very own breakfast bar before making time to relax in the deluxe living area. 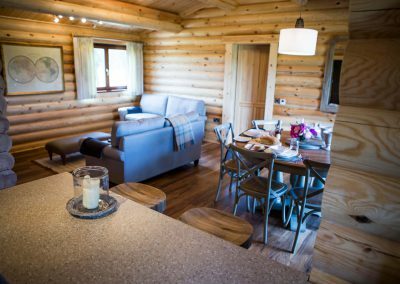 You can sink into its two incredibly comfy sofas while watching a movie on the flat screen digital TV with DVD player, or just read a book while listening to the peaceful countryside sounds in front of a homely gas burning fire. 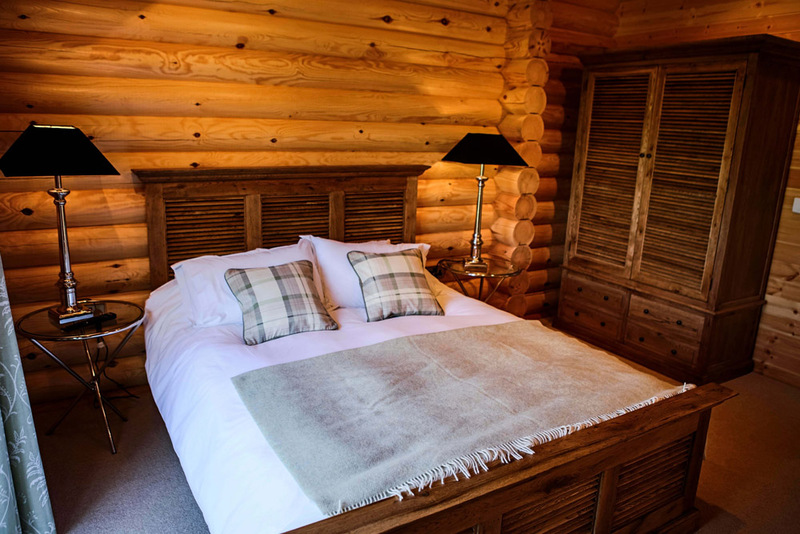 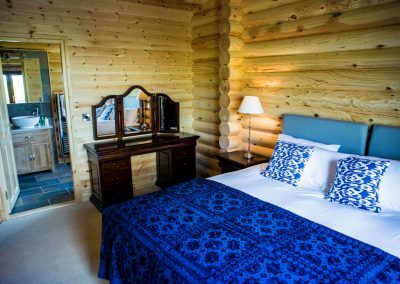 The two en-suite bedrooms at either end of the cabin provide the ultimate in relaxation. 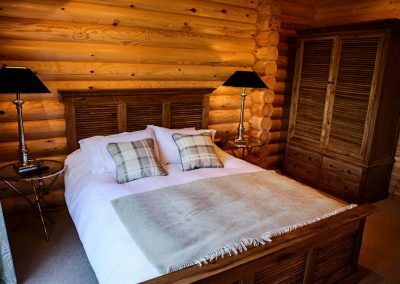 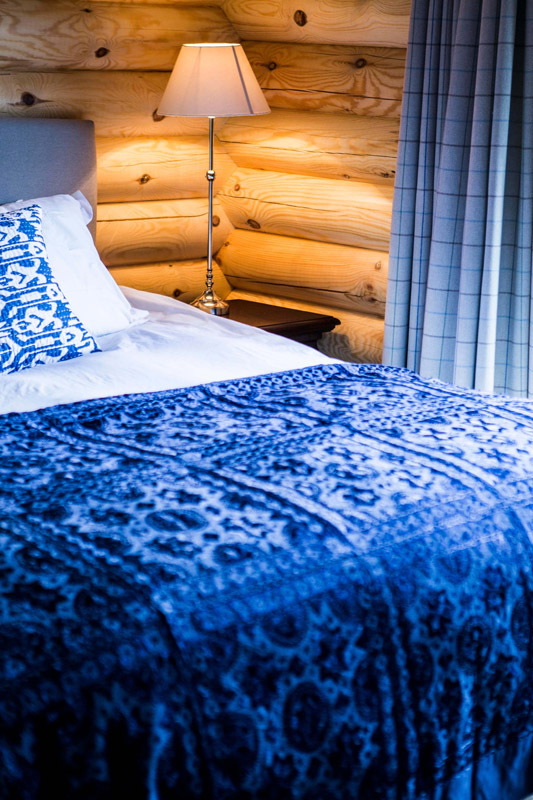 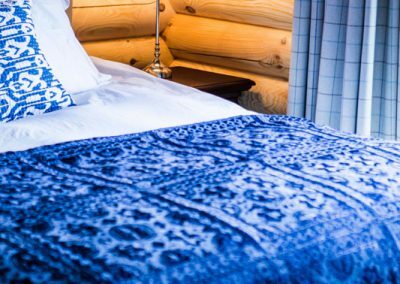 The individually furnished bedrooms are finished with top quality furnishings to make your stay as comfortable as possible and a perfect way to drift into a deep slumber and forget about the outside world. 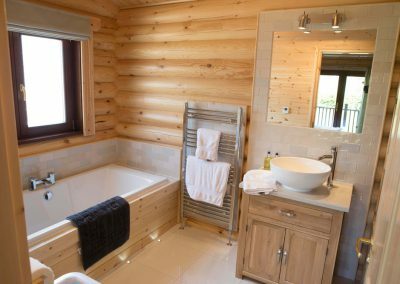 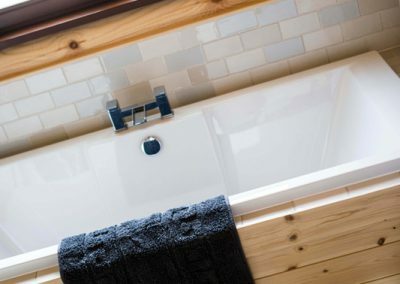 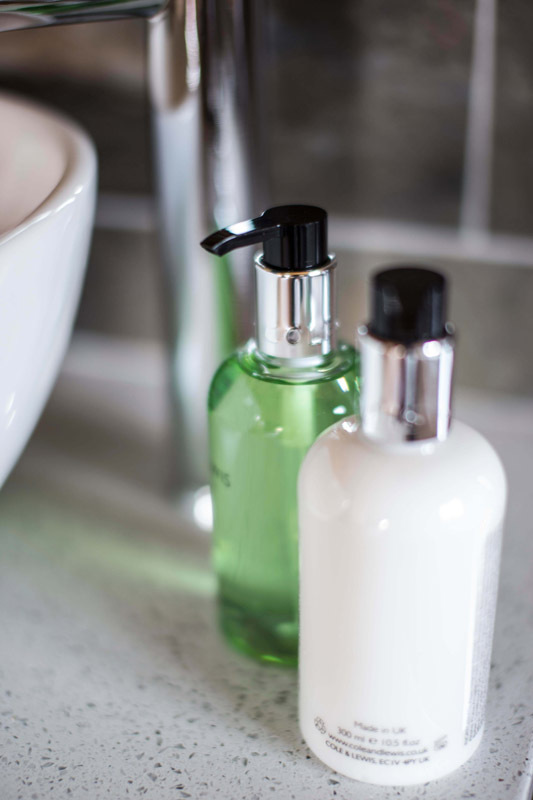 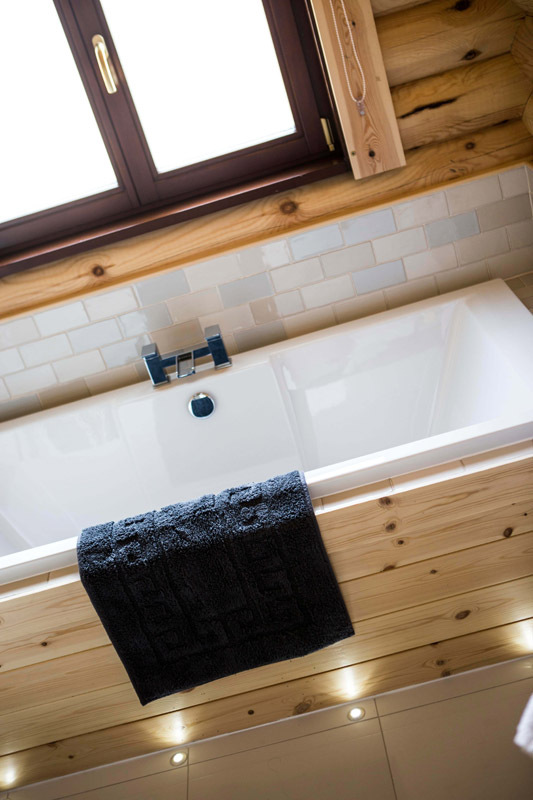 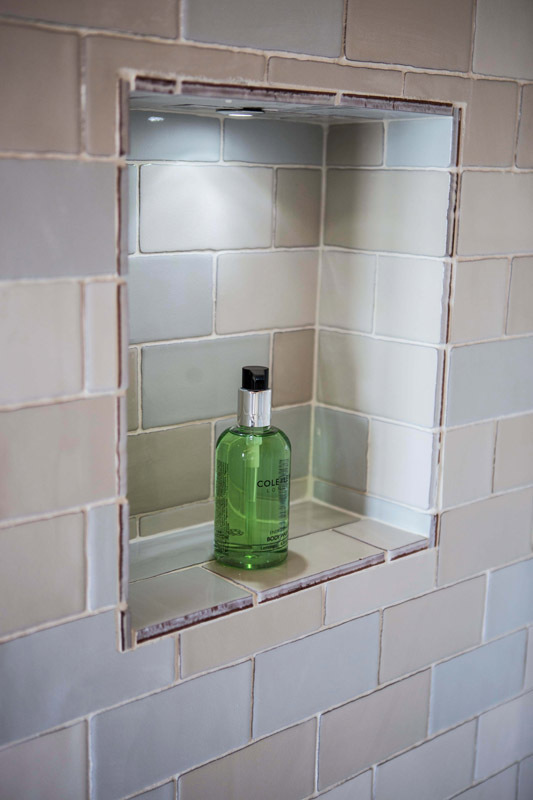 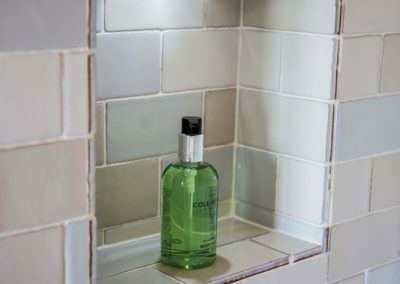 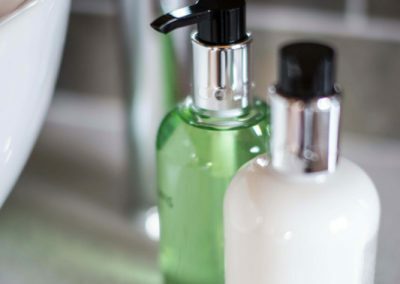 Their luxurious, en-suite bathrooms have large walk-in power showers as well as huge baths, perfect for a long soak after a walk or bike ride along the canal. 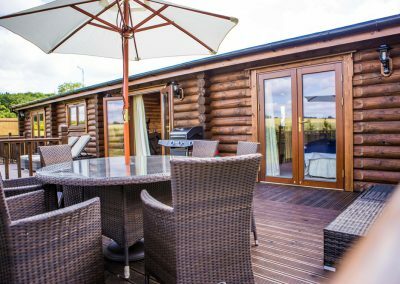 There are french doors leading from both the bedrooms and the living room to the spacious, private decking area, which over looks the beautiful surrounding fields. 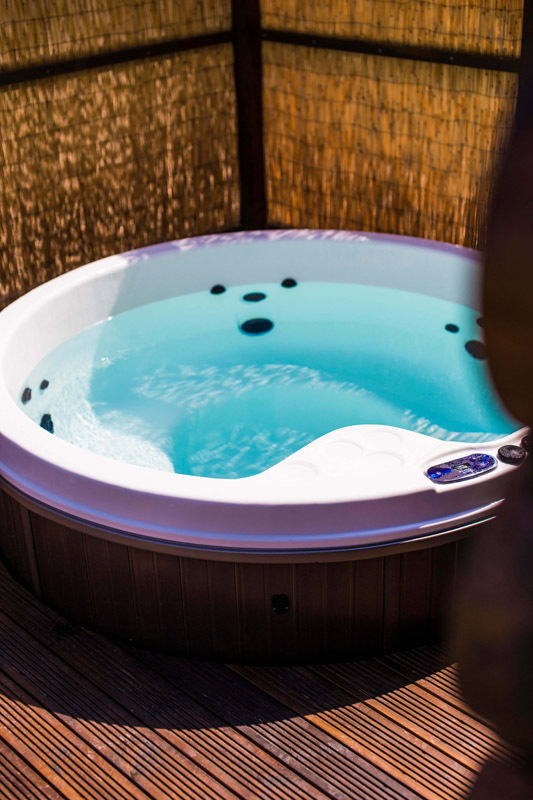 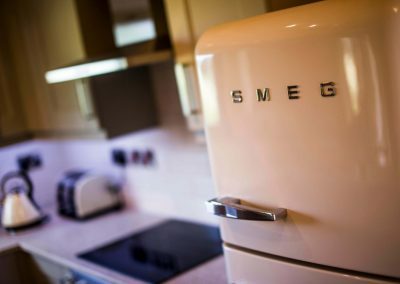 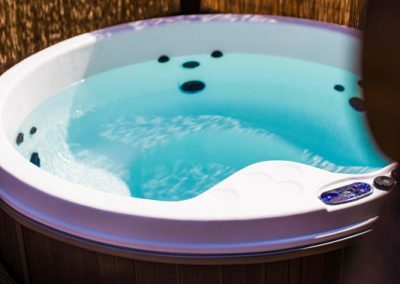 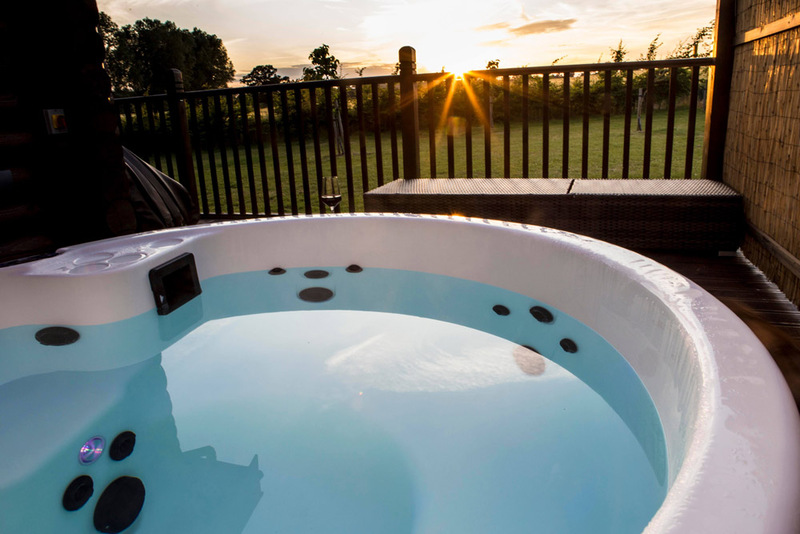 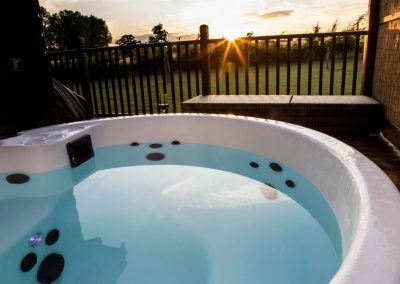 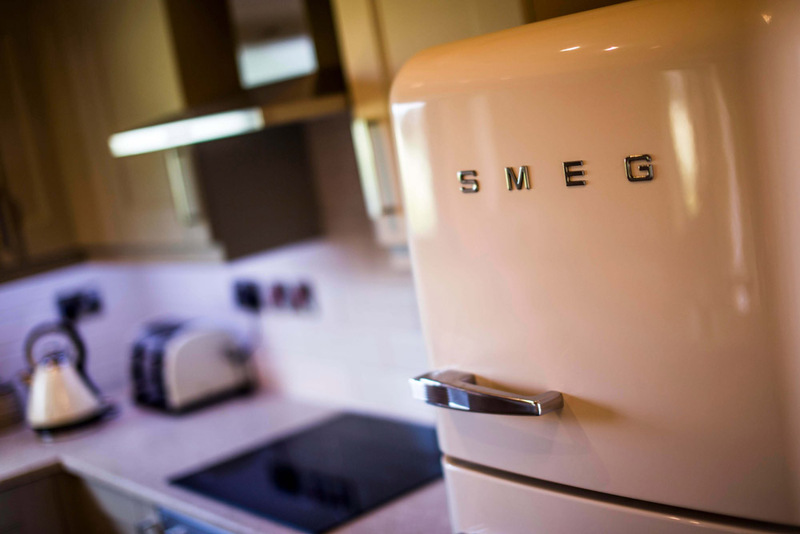 Why not enjoy a summer’s evening watching the sunset while preparing a delicious BBQ before taking some time to relax in the private hot tub with a glass of something fizzy!